The .LAT Registrars Program has been designed to facilitate the integration with the registry systems. The services and interfaces are based on industry standards, with minimal differences. Specifications for the launch and general availability follow the most used standards and suggested EPP extensions, virtually without change. Join the gLTD, oriented to the entrepreneur market with the highest drive and growth. Offer to your clients the highly recognized new gLTD that provides an Internet presence with a Latino identity. Our technical staff has the training and experience necessary to provide effective support to complete the integration process without any setbacks. They will provide personalized assistance in both English and Spanish, and will help you in the day-to-day operations of the .LAT Registry. Our team has proven experience in the target market and will design marketing and promotional programs for registrars to participate. Contact us at contacto@nic.lat to initiate the accreditation process. We will request information to generate your contract. An information package will be sent to you via email which will include the Registrar Registry Agreement prepared with the information you provided to us. If you agree with the contract, we will generate the signature-ready version and deliver it to you. At that moment you can start the technical validation process. This process will help you to get connected to the .LAT Registry systems. To initiate the integration tests with the .LAT systems, it is necessary to request credentials for secure access. When the time comes, we will provide the test’s instructions and manual. 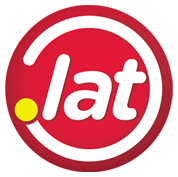 To be able to participate in the .LAT launch, it is required to complete the integration with the Trademark Clearinghouse (TMCH). Once the tests have been completed and we have your signed contract, we will provide the credentials for the production system. Once you have signed the contract, we will send the information to make the initial deposit. At that point, you can participate in the .LAT launch or join the General Availability phase.